The most reliable way to distinguish genuine amber from fakes is to show product specialist-gemmology with appropriate equipment. If this is not the time or the buying decision need to be made quickly, there are a few simple rules that will allow us to understand the real amber or not. Never focus on the price of the product. The manufacture of counterfeits requires funds, and if the seller lowers the price, it does not mean that it exclusively of natural amber. 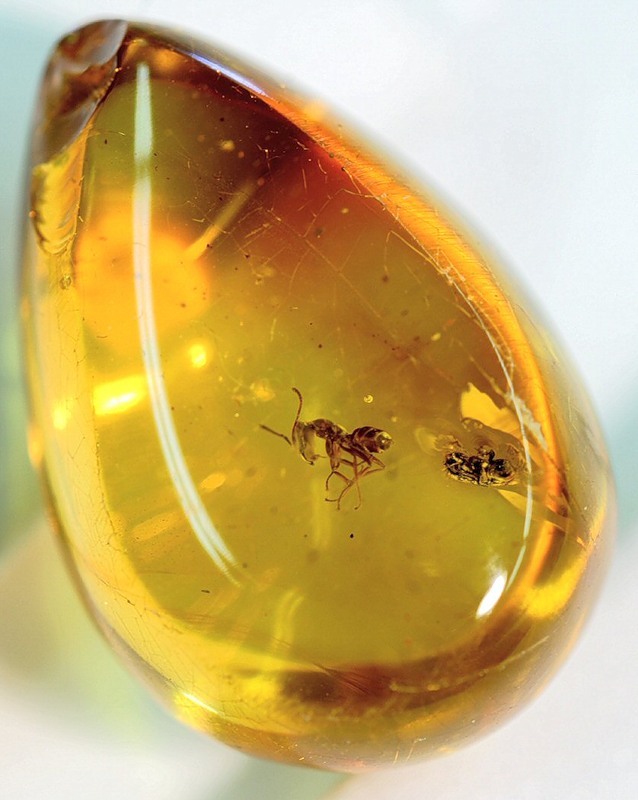 Fake amber is made from plastics, rubber, rosin. The composition of the synthetic resin is added a small portion natural low-grade amber and even achieve the effect of frozen bubbles. As amber deposits in the world are not limitless, and the demand for this stone is always high, as ancient stone sell digging: the "young" amber, which is not more than a few tens of thousands of years. It is a natural stone derived from tree resin, but it's not amber. It is more fragile. In addition, modern technologies allow to create a product of modern resin of coniferous trees. To distinguish it in the following way – put the product with alcohol. He will interact with the hardened resin on the surface will remain sticky spot. In order to distinguish real amber from fake synthetic resin, use "grandma's" method. Add in a glass of water a couple of tablespoons of salt, stir and place the piece of amber. If the stone is natural, it will pop up, and fake resin will sink. This method is not suitable if the stone is framed in metal. Another way to distinguish a fake, without departing from the counter – heat the stone with a lighter. If the stone is natural, you will feel a pleasant or neutral smell of pine resin. The stone itself is not affected. If the stone is fake, you will see the smoke, the stone will darken and you will feel a sharp unpleasant smell of burning synthetics. Ask the seller to demonstrate it. Based on his reaction you'll know if he's ready to do so with poor-quality products. To check authenticity you can also use a sharp object. Just draw a scratch on the surface of the stone. If amber is genuine, then it will crumble and slice on a plastic fake will twist the spiral.